RDA Senior and BHS Senior Justin Freeman won the Upstate Arclabs Welding competition held today in Greenville, SC. He competed again 29 other high school students from Upstate Welding programs and was the 1stplace WINNER! He is a student in our Welding 3 class taught by Jay Snyder. 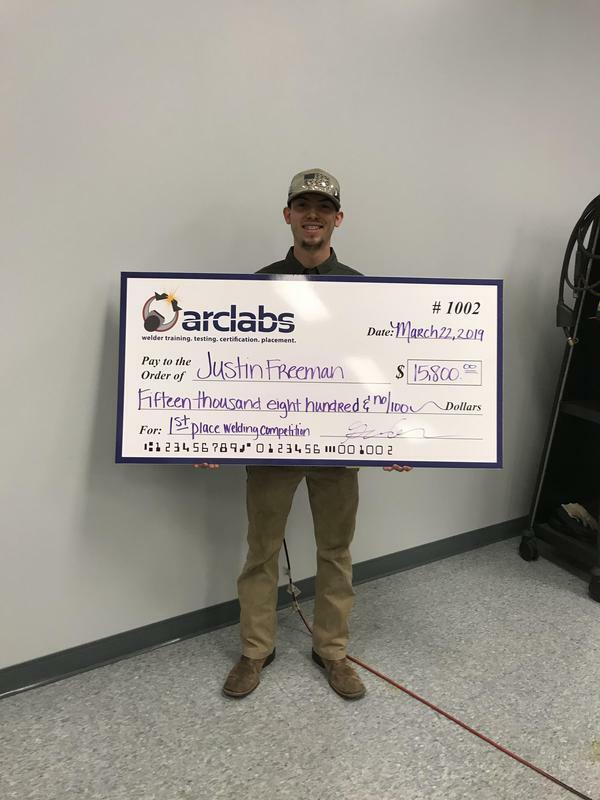 Winning 1st place is worth a “Full Scholarship” to attend Arclabs Welding School after graduation! We are So proud of Justin!